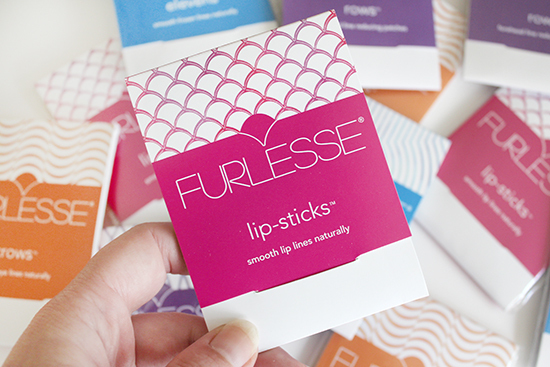 I received a Furlesse products in order to facilitate an honest review. All opinions are my own. YOU GUYS. 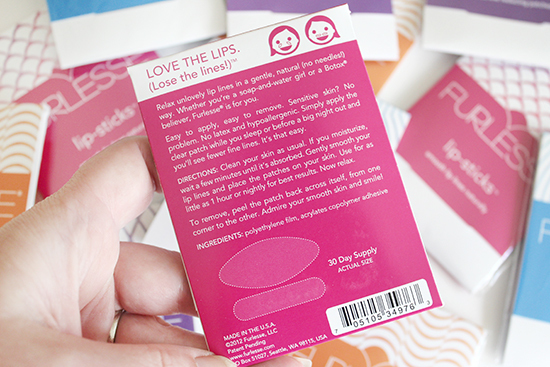 I am so excited about this product that I am recommending it hands-down. That doesn't happen often, but these little patches are so genius that I flipped out about them to EVERYONE. 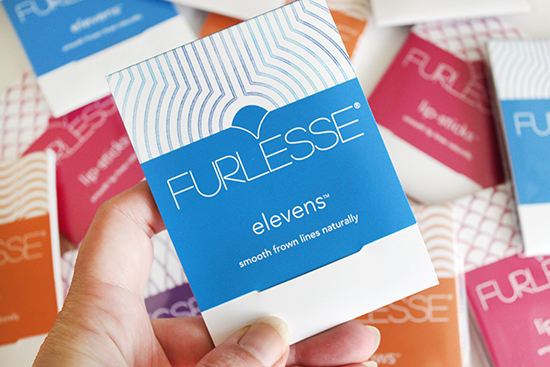 If you have fine lines and wrinkles, the Furlesse patches are a must-have in your beauty routine. They are not a long-term treatment, but work in as little as a few hours (or overnight) to completely smooth out fine lines and diminish deep wrinkles and the effects last for hours! 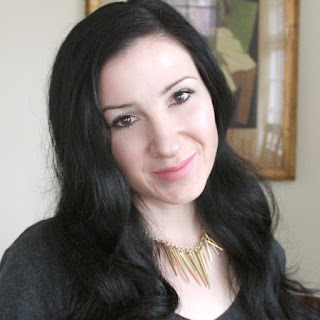 "Smooth facial lines in a gentle, natural (no needles!) way. 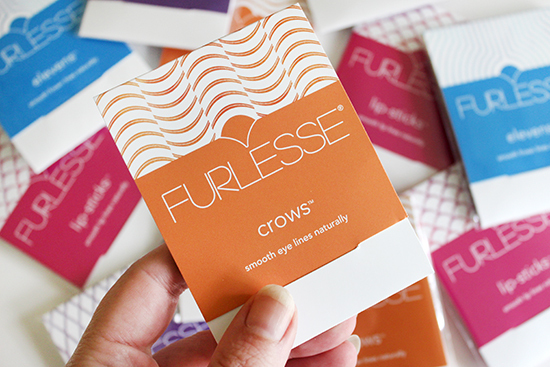 Whether you’re a soap-and-water girl or a Botox believer, Furlesse is for you. Easy to apply, easy to remove. Sensitive skin? No problem. No latex and hypoallergenic. 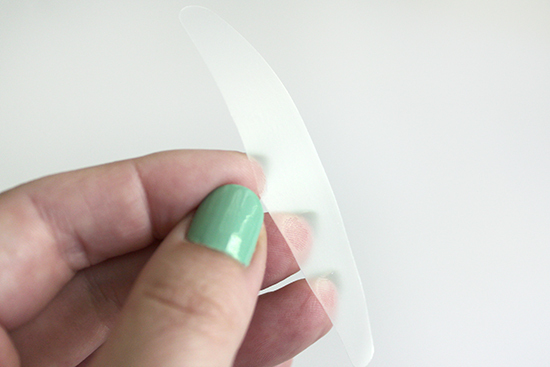 Simply apply the transparent patches while you sleep or before a big night out and a few hours later you’ll see fewer fine lines. It’s that easy." 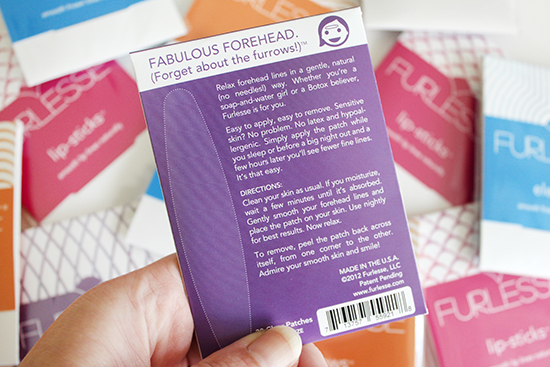 "Furlesse patches work by smoothing out the skin while holding it in place, preventing unwanted pillow creases and furrowing of the face. 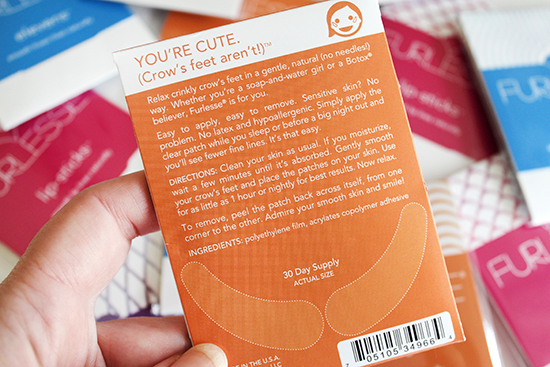 Apply at night while you sleep and wake up to a firmer-looking, fresher-feeling face. Or wear during the day before that big night out! 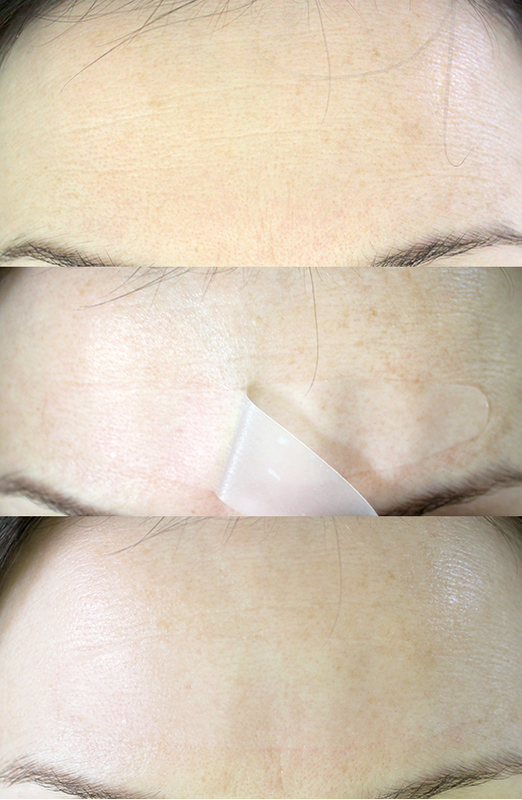 The patches can be used as a complement to your existing cosmetic injectable routine or can stand on their own as a natural, non-invasive option to relaxing facial lines and wrinkles. Clean your skin as usual. If you moisturize, wait a few minutes until it’s absorbed. 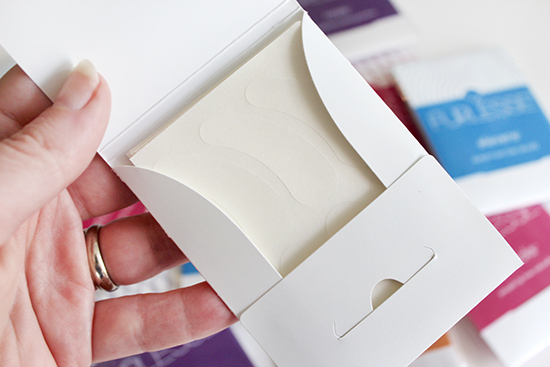 Gently smooth your lines and place the patch on your skin. Wear overnight or for as little as an hour during the day. To remove, peel the patch back across itself, from one corner to the other. Admire your smooth skin and smile!" 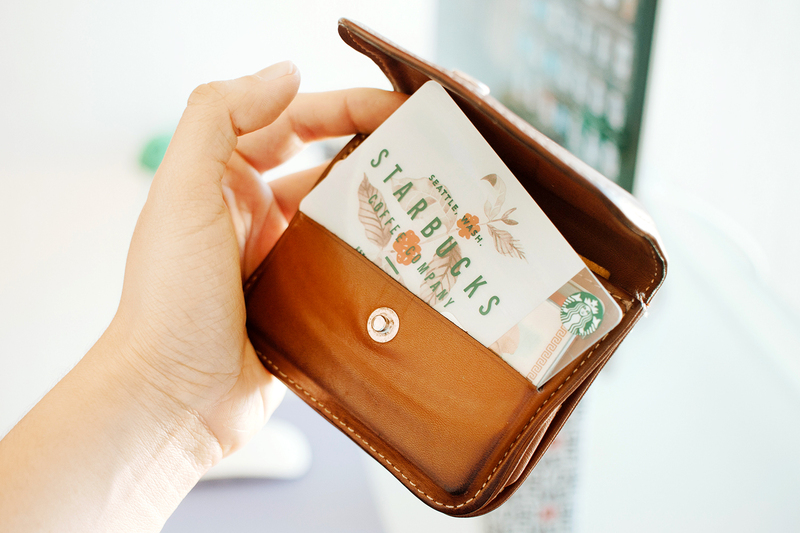 The patches are transparent, and latex-free, hypoallergenic, BPA-free, and fragrance free. 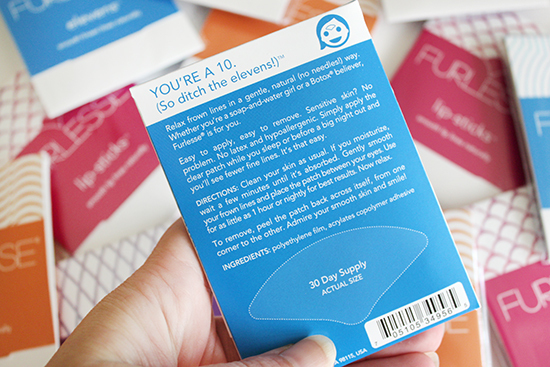 Each package comes in a 30-day supply, which means that you could use them every day for a month. You could also save these for just before a big night out and they would last you forever. They're affordably priced at $19.99 for a package, so either way it's a bargain! The Rows are my favorite because I have fine horizontal lines all over my forehead. I blame the kids for giving me constant "surprise face"! The first time I used these I was so amazed. I actually thought it would take a trial of these, or at least multiple treatments to see an effect. Nope. Immediate!!! So I took some (horrifically) close-up shots of my worst problem area so you guys can see what I saw. I put this on at about 11am and took it off at about 2pm, so a just few hours will do the trick. I also put this over just a couple of the horizontal lines so you could compare it to the untreated lines above it. And now is your chance to try them out for free! 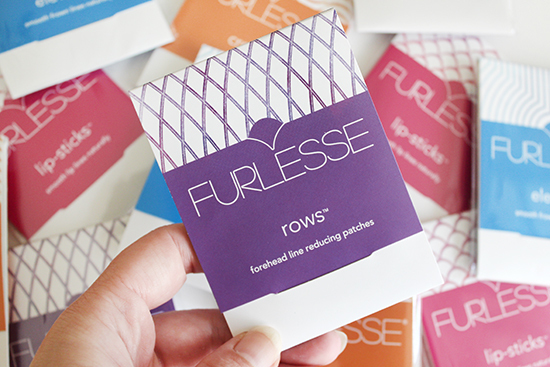 One lucky winner will receive a 3-month supply of all of the Furlesse patches!!! 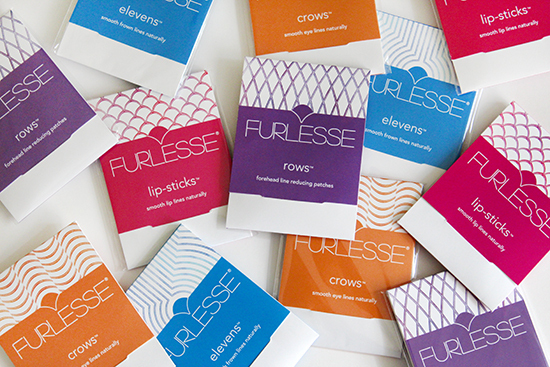 That's 3 packages each of Crows, Lip-sticks, Elevens, and Rows! Open to residents of the US only. Must be 18 years or older. 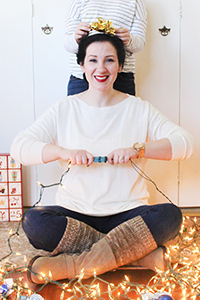 Giveaway ends 12/8. Furlesse is collecting all info through the Rafflecopter below and will choose one random winner to contact after the end of the giveaway. No purchase is necessary to enter. One entrant per household, per IP address. All entries will be verified. Void where prohibited by law. 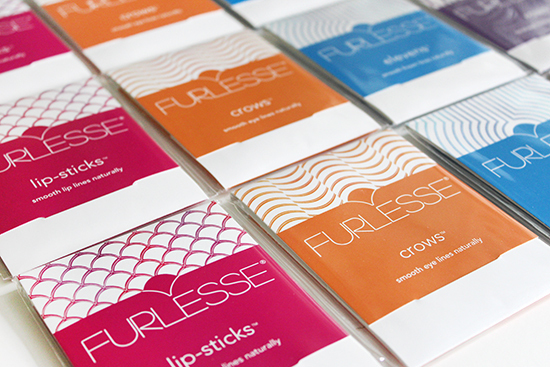 Furlesse is responsible for prize delivery to the winner. This giveaway is in no way administered, sponsored, endorsed by, or associated with Facebook and/or Twitter, Google, Pinterest, or any other social media platform. What is your worst problem area for wrinkles? Have you tried any treatments? 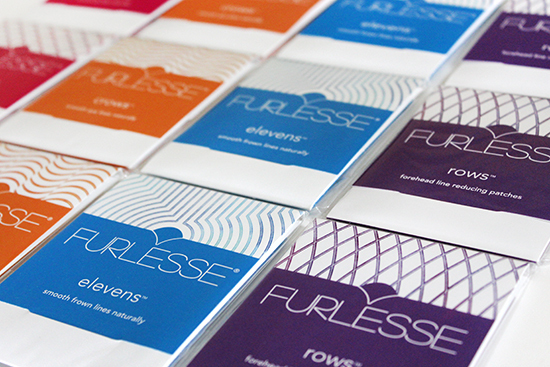 Would you like to try Furlesse? I love to hear your comments!